Of course there can be a number of complaints, but it always returns to the sage advice: “Get it checked out.” This applies to yourself, a friend, or a loved one. A dilated eye exam can uncover issues with high cholesterol, diabetes, glaucoma, retina, as well as other conditions, and can ultimately save your sight. A visit to the ophthalmologist or optometrist will set you on track to maintaining your current vision. Unfortunately, not every vision loss can be reversed. This is why a dilated eye exam is priceless–and should be scheduled every one-to-two years, depending on what your ophthalmologist or optometrist recommends. There you have it–feel free to spread the word that your eyes are worth a second look. After all, you use them from the moment you wake up until your lids close at night. Be in the know when it comes to your vision. Age Related Macular Degeneration (AMD) is a deterioration or breakdown of the macula and is one of the most common causes of poor vision in people over age 60. How do the Retina and Macula relate to AMD? The inside layer of the back of the eye is called the retina. The retina is like the film of a camera. The central 10% of the retina is called the macula. The macula is responsible for sharp, central vision required for “straight ahead” vision activities, such as driving, reading, recognizing faces, and performing close up work. What are the Symptoms and Risk Factors of AMD? The visual symptoms of AMD involve the loss of central vision (reading, recognizing faces, etc. ), while peripheral vision is unaffected. While age is the most significant risk factor for developing AMD, heredity, blue eyes, high blood pressure, cardiovascular disease, and smoking have also been identified as risk factors. If you have concerns about your vision and would like to speak to one of our doctors, call us today to schedule an appointment. 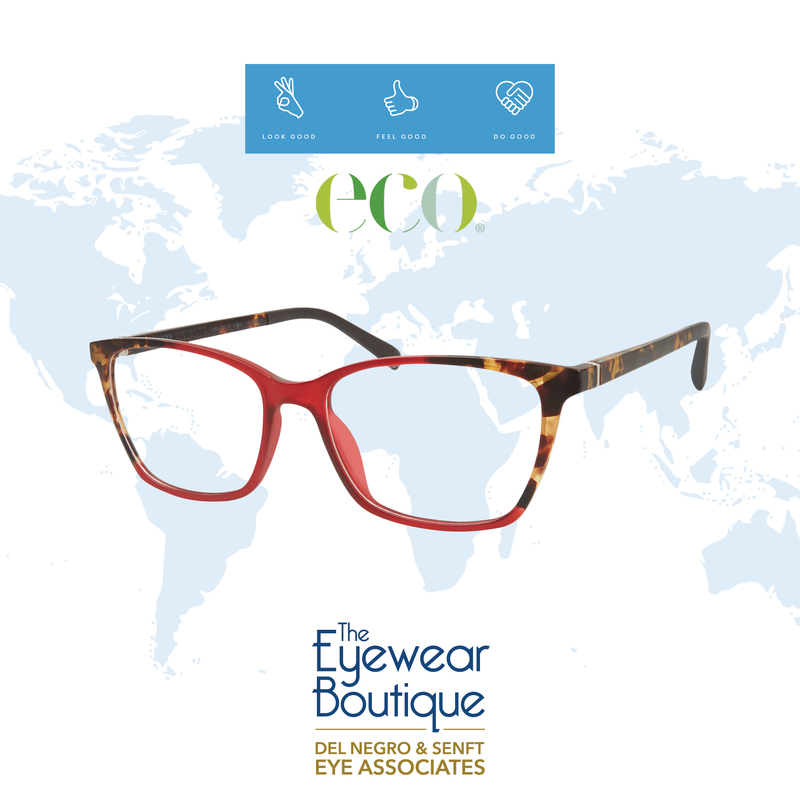 Take a cue from MODO‘s ECO® brand to help celebrate Earth Day! 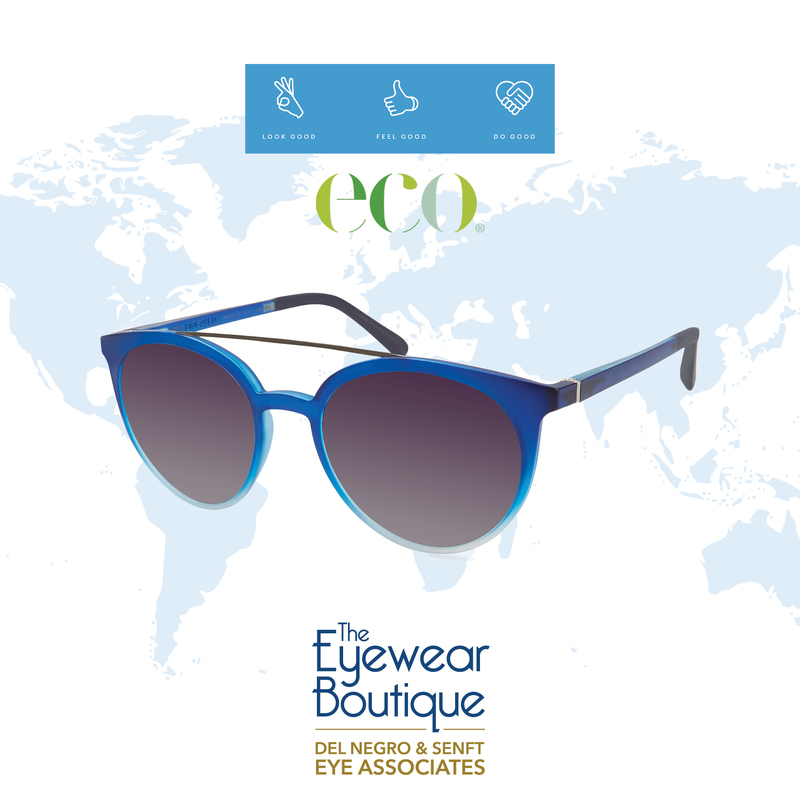 ECO® is the only eyewear brand to offer frames made almost exclusively of sustainable materials. They bring sustainability and social responsibility full circle – from the materials they use in their frames to the nearly 1.5 million trees they have planted so far that clean the air and enable farmers to support their communities. 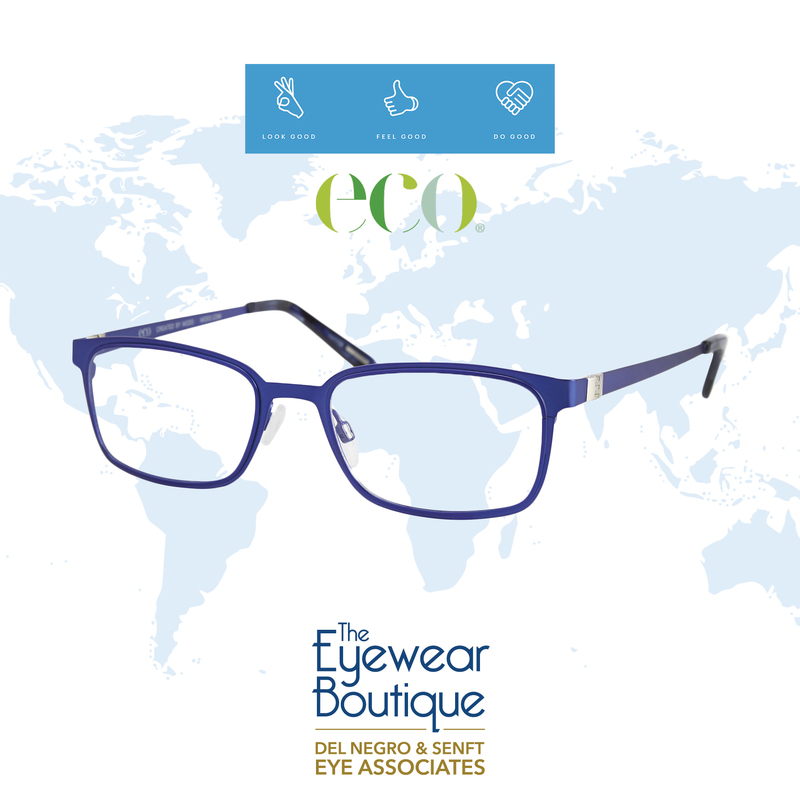 ECO®’s recycled collection frames are crafted out of 95% recycled materials, while their biobased frames are made with 63% castor seeds. 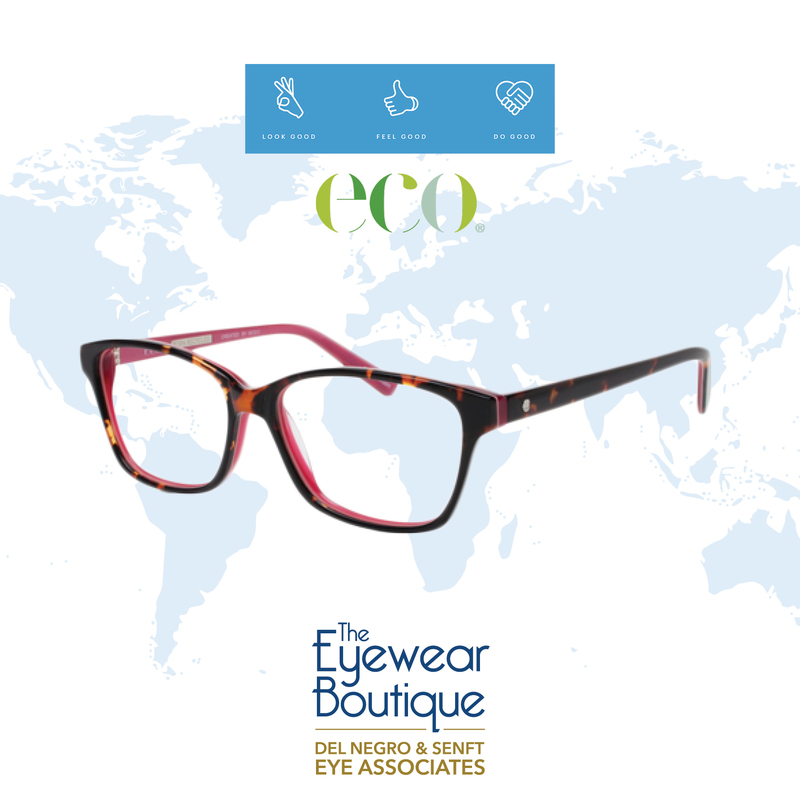 The frames are colorful and playful, and they even offer a magnetic sun clip to maximize your ECO® look!